Founded in 2002 by former Kentucky state legislator, Mary Ann Tobin, Broadbent Wildlife Sanctuary is a 501(c)3 registered nonprofit organization that provides care to sick, injured and orphaned wildlife throughout the state of Kentucky. We rely on donations from the public to continue our work, and do not receive any state or federal funding. Our mission statement: To provide a safe, healing haven for the orphaned, the injured, the abused, the infirm and the outcast, where all hurting creatures, including the human creature, help one another in their mutual distress; and through this interaction, each gaining comfort and support from the other, become the free, independent, and beautiful spirits which they were meant to be. Broadbent’s goal is to rescue, rehabilitate and release native wildlife back into their natural environment. We are a state and federally-licensed facility. Our staff includes a full-time, on-site veterinarian, and wildlife rehabilitators licensed by the state of Kentucky, in addition to trained, compassionate animal caretakers, who work together to provide the highest quality of care possible. Our staff regularly attends educational conferences and seminars to keep up with the latest treatments, techniques, and medicines. 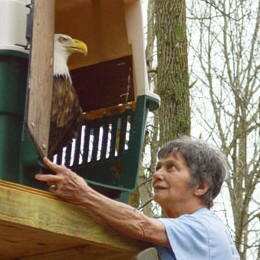 Animals that are permanently disabled or unable to be released but can still have a good quality of life remain at the sanctuary with permission from federal and state agencies and may become Educational Ambassadors to assist in local programs for schools, camps, and civic organizations. Our educational staff offers programs customized to various age groups with information about the many native species and the environmental factors that affect them, along with teaching respect for all animals and what we can do to make a difference. 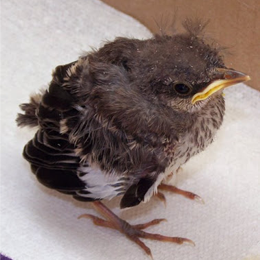 Broadbent also provides a safe haven for abandoned and abused exotic birds and other exotic animals that were former pets, as well as horses. We have limited space for these animals and cannot accept more at the present time. 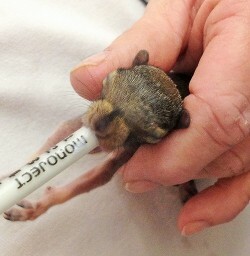 What to do if you find sick, injured or orphaned wildlife. 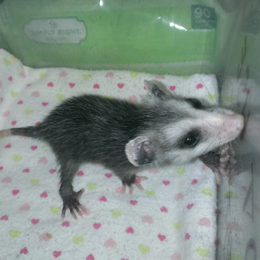 Our goal is to rehabilitate and release wildlife back into native habitat. Here's how you can help us help wildlife. Thank you for caring about Kentucky's wildlife. Please reach out with questions or comments using the information below.